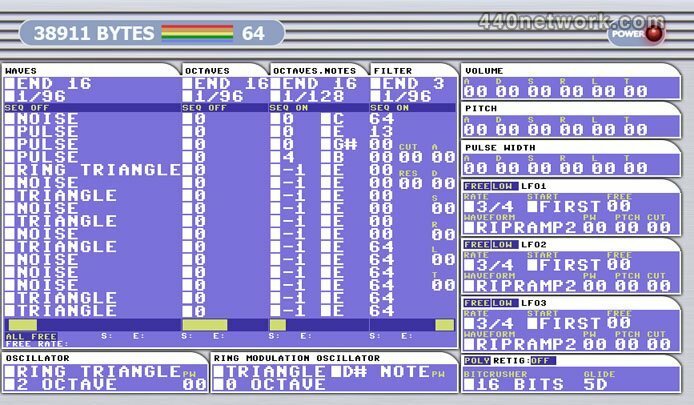 It`s a synthesizer based on Commodore 64 software but it can do a lot more. - It has 1 oscillator synth with 4 waveforms (Saw, Triangle, Pulse,pitched Noise) ringmodulation waveforms (Saw, Triangle,Pluse). PulseWidth Octaves from -3 to 4. 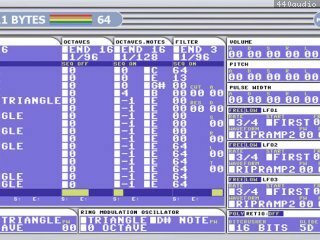 With 11 BPM rates and FREE rate mode (manual) in FREE mode all sequencers have the same rate.